Enjoy French cuisine at Lakes Restaurant, one of the hotel's 2 restaurants, or stay in and take advantage of the room service (during limited hours). Quench your thirst with your favorite drink at the bar/lounge. A complimentary English breakfast is served on weekdays from 7:00 AM to 9:00 AM and on weekends from 8:00 AM to 10:00 AM. Make yourself at home in one of the 6 guestrooms. Prepare your meals in the shared/communal kitchen. Bathrooms with showers are provided. Located in Sittingbourne, The Old Vicarage is in a rural location, within a 15-minute drive of Faversham Stone Chapel and Maison Dieu. 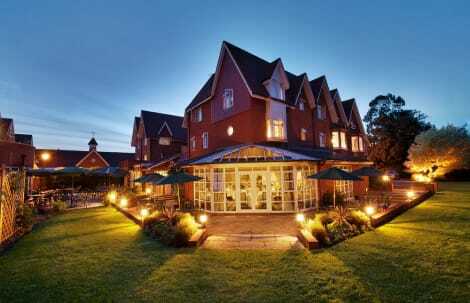 This 5-star bed & breakfast is 8.9 mi (14.4 km) from Leeds Castle and 13.2 mi (21.2 km) from Whitstable Beach. 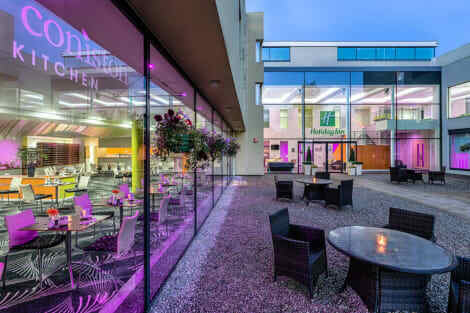 Set in an industrial town close to the Isle of Sheppey and the town of Gillingham, Sittingbourne hotels are a great base for exploring the surrounding area of Kent. Railway enthusiasts will enjoy the Sittingbourne and Kemsley Light Railway, a preserved former paper mill railway that sets off from Sittingbourne railway station and runs to the banks of The Swale. The railway dates back to 1904 when paper maker Frank Lloyd developed it. As well as the railway itself there is an interesting museum full of exhibitions on historical wagons and a scale model railway. A short distance north of Sittingbourne is the Isle of Sheppey. Here you'll find two excellent nature reserves, the Elmley National Nature Reserve and the Swale National Nature Reserve. Boasting spectacular landscapes and rich variety of wildlife, the reserves are ideal locations for countryside walks. There are paths here for walkers of all ages and abilities, whether you're planning on an afternoon amble or a longer trek. To the south of the town are the Kent Downs, an Area of Outstanding Natural Beauty and another fantastic destination for days spent outdoors. Sittingbourne is ideally located for visiting several different towns and cities in the area. Gillingham is a short distance to the west and the town features a range of shops and restaurants. South of Gillingham is Maidstone, a charming county town on the River Medway. If you decide to head east from Sittingbourne you'll soon reach the ancient city of Canterbury, a cathedral city and a UNESCO World Heritage Site. In addition to a selection of high street shops and boutique independent stores, Canterbury is home to the historic Canterbury Cathedral, the seat of the Archbishop of Canterbury. Also in Canterbury are the ruins of St Augustine's Abbey and the Canterbury Tales Experience.